Kingwood is a master-planned communicated with parts of it in Montgomery County and other parts in Harris County. 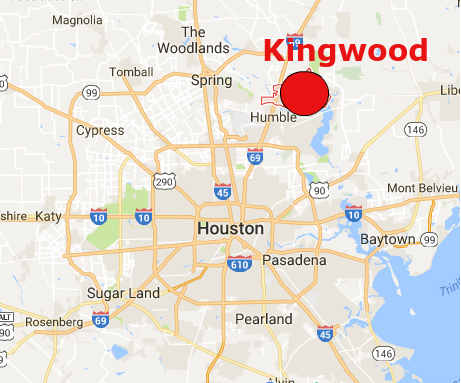 Built on a 14,000-acre land, Kingwood the biggest master-planned community in Harris County and the second largest in the 10-county area which Kingwood is part of, Houston-The Woodlands-Sugar Land. The development of Kingwood was a collaboration between two development companies. The development was begun in 1970. The land where Kingwood is currently located was the property of the Foster family. The Foster Lumber company occupied the land where Kingwood is located. Each village association in Kingwood has its own swimming pool and a park. There are numerous parks and natural recreations located in Kingwood. Residents and visitors get to enjoy the serene environment within Kingwood. The parks located within Kingwood include the Kingwood Park, the East End Park, the Kingwood Skate Park and the Dylan Duncan Memorial. The different parks are equipped with specific facilities. The Kingwood Skate Park, for example, has stake benches, a kicker ramp and a drinking fountain. Apart from the parks and natural recreational facilities, several annual cultural community activities are held in Kingwood. Mardi Gras, for example, is held in the Town Centre Park in February with activities which include a parade and an open-air concert. The Town Centre Park is also the venue of Picnic on the Park, an annual activity held in Kingwood the day before Easter with activities such as a vendor fair. Auto shows are also peculiar to the entertainment and cultural scene of Kingwood. Theses annual auto shows are held at the Town Center Park twice a year, both in April and October. Kingwood also holds a Fourth of July parade with an open-air concert, firework display and a vendor’s fair. The tree lighting ceremony which is part of the Christmas in the Park Ceremony also holds at the Town Center Park. These annual events build the sense of community which Kingwood strives on. M&M Moving Company provides services that ensure the proper movement of goods and properties within Kingwood. Our services are carried out by well-trained and licensed teams. The experience we have gotten from serving the Houston area for over two decades gives us an edge in delivering the best quality of service. Our services are designed to achieve the highest level of customer satisfaction and protect the goods and properties of our clients. When you engage our moving and packing services, you are sure that your request will be handled by experienced hands. We will never jeopardize your trust in us. We understand that the services we offer involve handling prized possessions of our customers, and we commit to handling every single item with tact and professionalism. Our teams are also equipped with the right skills needed to win the trust of customers as they carry out their duties. We are the best moving services in Kingwood because we combine our experience with the most effective tools and methods and a skilled and licensed workforce.